A MOUNT Isa woman is one of four Australians who will take on the longest and toughest horse race in the world. Camille Champagne is the co-manager of Linda Downs station located 225-kilometres south west of Mount Isa and will travel overseas to compete in the Mongol Derby. The derby is a 1000-kilometre course that recreates Chinggis Khaan's legendary empire-busting postal system. Riders change semi-wild horses every 40-kilometres, and live with herders and camp under the stars. Riders are only allowed to carry a five-kilogram survival pack, eat local cuisine and complete the course on their own. Competitors will ride through different terrain and weather conditions adding to the complexity of the challenge. The Fédération Equestre Internationale (FEI), world governing body of equestrian sport, has today launched the FEI Awards 2016. This officially marks the beginning of the 8 week nomination phase that will result in the winners being announced at the FEI Awards Gala Ceremony presented by Longines in Tokyo (JPN) on 22 November 2016. Launched in 2009, the FEI Awards are an annual salute to excellence, determination, resolve, courage and dedication. In order to recognise and celebrate the exceptional individuals and organisations that make the equestrian community so unique, the FEI calls upon the public every year to nominate their heroes via the online platform at www.feiawards.org. “We are a global sport but we are also a way of life and a community with a very strong set of values”, FEI President Ingmar De Vos said. “The FEI Awards honour everyone who make our sport happen and this has been shown time and time again in the thousands of nominations we have received since the FEI Awards were launched in 2009. The Longines Rising Star Award is for a person aged 14 to 21 who demonstrates outstanding sporting talent and commitment. Jessica Mendoza (GBR), who won this award in 2015, has recently been announced as reserve rider for the British Jumping team heading to the Rio2016 Olympic Games! Former winners of this category also competing in Rio, include China’s Alex Hua Tian, described in the Chinese press as “one in a billion” following the 2008 Olympic Games. The Best Athlete Award celebrates the athlete who over the last 12 months has demonstrated exceptional skills in the arena, and has taken equestrian sport to a new level. 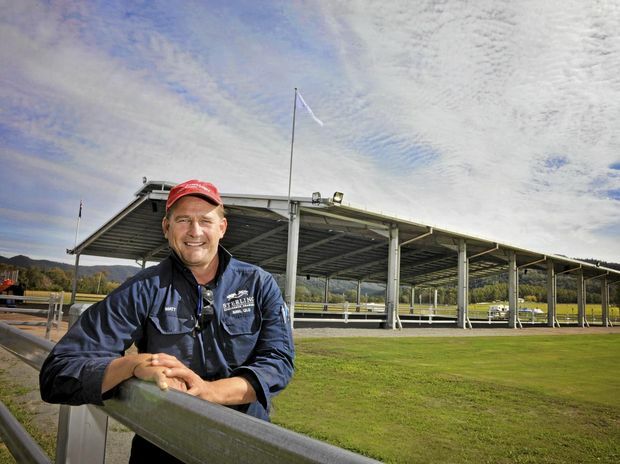 Awarded to Australia’s Boyd Exell in 2015 for his unmatched track record in the sport of Driving, including Six World Championship titles alongside numerous FEI World Cup™ titles. Previous winners of this category heading to Rio2016 seeking to add more Olympic gold medals to their collection include defending champions Charlotte Dujardin (GBR) and Michael Jung (GER), and Dutch jumping legend Jeroen Dubbeldam, gold medallist from Sydney 2000. The Against All Odds Award acknowledges people who have pursued their equestrian ambitions despite physical issues or extremely difficult personal circumstances. Last year this award went to Endurance athlete Oriana Ricca Marmissolle (URU) who following diagnosis and treatment for Phase III Hodgkin’s Lymphoma at just 17 years of age was back in the saddle within days of finishing chemotherapy treatment competing at events in Uruguay, France, Brazil and Chile. Former winners of this category include USA’s Sydney Collier and Germany’s highly experienced and multi medalled Angelika Trabert, both selected to compete at the Rio2016 Paralympic Games. The Best Groom Award is dedicated to the vital behind-the-scenes team members who work 24/7 to ensure their horses get the best possible care and attention. Last year, Mexico’s Eddie Garcia Luna was celebrated for his dedication and commitment to Olympic rider Steffen Peters horses. The FEI Solidarity Award – which in 2015 went to a tailor-made project in Haiti called “Les Chevaux qui pansent les plaies” (Horses that heal wounds) providing therapeutic riding for over 250 children affected by the 2010 earthquake and in particular amputees. The top athletes were then given the opportunity to train in Para-Equestrian sport. This award will be presented to an FEI Solidarity or equestrian development project, or an individual or organisation that has demonstrated skill, dedication and energy in expanding equestrian sport. Nominations for the FEI Awards 2016 will close at midnight on 18 September 2016. The winners of the awards will be flown to the glittering FEI Awards Gala presented by Longines in Tokyo (JPN), where over 350 guests from the global equestrian community, including representatives from the Tokyo 2020 and the FEI’s National Federations around the world, will celebrate their triumphs. To make the FEI Awards 2016 even bigger and better, we are asking for your help. Your input will make these Awards truly global. To promote these Awards to your readers, please feel free to download and use our widgets at www.feiawards.org . You can also download the launch video here: https://spaces.hightail.com/receive/t74gT. Note: Additional videos to promote each of the categories will also be made available to media. The FEI Tribunal has issued a final decisions in a prohibited substance case involving endurance. The FEI Tribunal imposed a two-year suspension on the Uruguayan endurance rider Fernanda Villar, effective immediately. Samples taken from her horse LG Muneerah, winner of the CEI2* in Trinidad, Uruguay, on Aug. 8, 2015, returned positive for guanabenz, a sedative with analgesic effects that is banned under the EADCMRs. The period of provisional suspension, which came into effect on Sept. 29, 2015, the date of notification, has been credited against the period of ineligibility, which will run through to June 22, 2017. The athlete is also fined CHF 2,000 and ordered to contribute CHF 1,500 towards the cost of the judicial procedure. The full final decision is available here. National Endurance Selectors have announced the athletes that will represent Australia at the upcoming FEI World Endurance Championships for Seniors from 16 – 18 September 2016, in Samorin, Slovakia. The team will be accompanied by Andrew Kettlewell in the role of Chef d’Equipe. RATON — After her first 26-mile endurance horseback ride, Marcia Hefker was so tired she fell asleep by the campfire. “Someone had to wake me up because the bottom of my tennis shoes were smoking,” she said on a recent early morning ride across a friend’s ranch. Now, 15 years later, riding 100 miles in a day isn’t unusual for her. For some horse riders, it is equal parts the journey and the experience. That’s why Sue Meier will be will be spending the better part of a month riding through Alberta on the back of a pink horse. Meier, alongside her Quarter/Morgan cross horse Summer. will be one of the few long-riders in the 8th annual Wild Pink Yonder ride, a 23-day trek across Alberta to raise money for the Cancer Research Institute of Northern Alberta. (CNN)Humans have been chasing animals for their entire existence. Racing against them wasn't a matter of sport, but necessity, as our ancestors simply needed the food. Most animals on Earth are faster than we are, but our proportionally bigger brains, endurance and ability to sweat give us a competitive advantage over them. This means that if you can stay committed to running long enough, you can eventually catch up to any beast because they tire out. That classic tortoise-versus-hare strategy, along with some crude weapons, is basically how we caught lunch until humans started riding horses at least 4,000 year ago. Horses, domesticated as early 3500 B.C. and pulling chariots no later than 2000 B.C., were particularly worth the chase. Tamed and later bred for strength and speed, horses weren't just useful around a farm and in battle, they were transportation. Until the train was invented in the late 1700s, riding or being pulled by a horse was the fastest a human could move on land. Man versus horse: the world's strangest marathon? Horse-based sports have just as long a history. In the ancient Olympics, horse competitions (chariot and riding) were among the most prestigious of them all. Chariot racing was all the rage in the Roman Empire, and later came medieval jousting and modern thoroughbred racing. But in 1980, man-versus-horse racing as an organized, internationally respected competition had its birth in a rural town in Wales in the United Kingdom. A foot (and hoof) race between human and horse may sound like no contest. Horses are faster than humans by a lot, but our endurance and perspiration help us equal our equine competitors. So, when you're talking marathon-length distances, humans do have a shot, especially if the conditions are favorable, such as hot temperatures and hard, dry conditions. Endurance GB is very pleased to report that total membership has risen by 8% when compared with this point last year. This represents a significant growth in participation in the sport in the UK, following a number of years of stagnation for the discipline. Endurance riding is one of the most accessible equestrian disciplines and has huge potential for growth in the UK. Worldwide, endurance riding is the fastest growing equestrian sport and is now second for the total number of FEI events taking place. Part of the increase in membership can be accounted for by Endurance GB’s Club Membership scheme, which focuses on increasing participation of the sport within the Pony Club, Riding Clubs and Retraining of Racehorses. 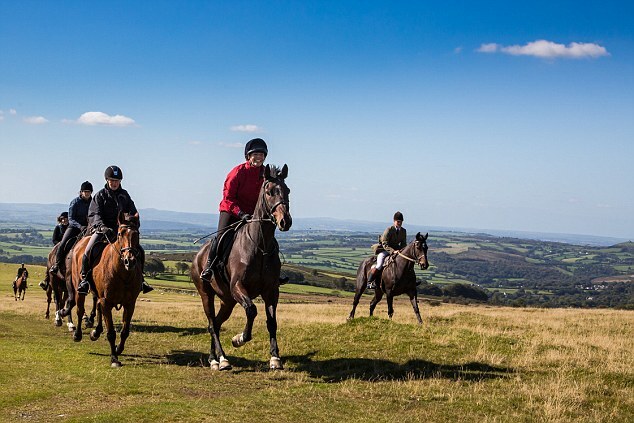 Endurance riding can supplement any horse’s chosen career path, and allows horse and rider combinations to enjoy riding across some of the most beautiful off-road areas of the UK. 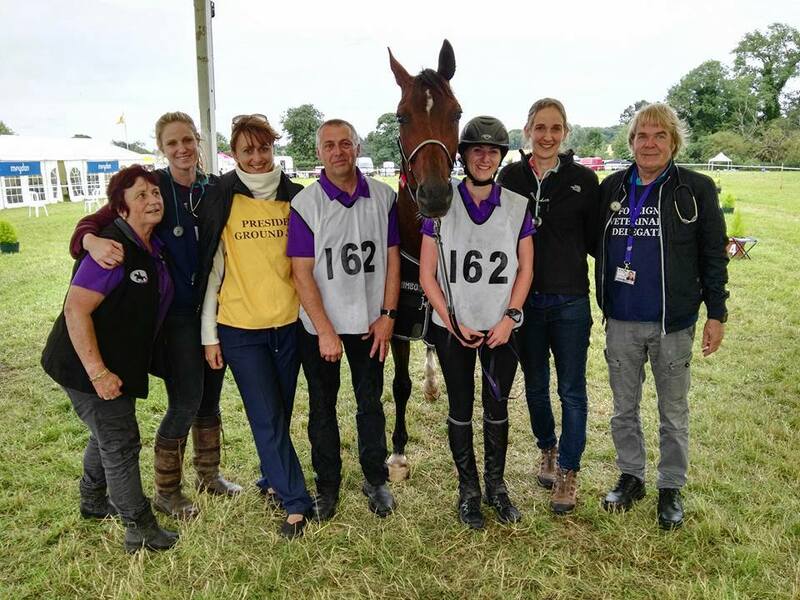 Harry Ingram, Director of Marketing at Endurance GB, commented that “riders of all ages and abilities are finding that endurance riding is a welcoming and enjoyable discipline. Based on core foundations of good horse welfare and horsemanship, combinations can progress through the levels and enjoy time in the saddle both in a competitive and non-competitive environment”. Endurance GB Chairman, John Hudson, commented that “the membership figures are promising and we look forward to cementing and building upon this increase during the remainder of the competitive season”. The FEI has today announced that it is working on alternatives for the FEI World Equestrian Games™ 2018 following mutual agreement between the FEI and Canadian Comité organisateur des Jeux Équestres Mondiaux 2018 (COJEM), the organising committee for the Games in Bromont, to terminate the contract to host the Games due to ongoing financial issues. “We are sad that the Bromont organising committee is no longer in a position to host the Games in 2018”, FEI President Ingmar De Vos said. “We have been working very closely with the COJEM Board and all levels of the organisation since the Games were allocated to Canada in mid-2014 and have known for some time that the Bromont team was facing major financial difficulties. “This has been a very difficult decision to come to terms with”, Rosaire Houde, Chair of the COJEM Board said today. “Since the new Board took over, we have left no stone unturned in our quest to find solid funding to support the Games, but sadly this has not been forthcoming. We are extremely grateful to the FEI for their support throughout the entire process, but it has been mutually agreed that we should terminate the contract. It is something I personally bitterly regret but it was the only responsible course of action. The 2018 Games were allocated to Canada by the FEI Bureau in June 2014 after the bid committee provided confirmation to the FEI that it had substantial government backing. This was at local government level, but the financial plan for the Games included sourcing Federal Government funding, however, Carla Qualtrough, the Minister of Sport and Persons with Disabilities, last week confirmed that no funding would be forthcoming from the Canadian Federal Government. The FEI made regular visits to Bromont to assist COJEM with planning and to address financial issues, and both the FEI President and the FEI Secretary General Sabrina Ibáñez were in Canada in recent months to work directly with the COJEM Board. “While the FEI of course wanted to ensure the success of the Games in Canada and gave every possible support, we also have a responsibility to our community and to the future of our flagship events”, Ingmar De Vos said. “We are now looking at possible alternatives for 2018 and we are hopeful that we will be in a position to make an announcement shortly. Over 100 hours on a horse with a diet of boiled mutton does not sound like many people's idea of a holiday. But the 1000km Mongol Derby across the Mongolian steppe has been a dream for Hawke's Bay woman Krista Donnelly since she first heard about the race. Next month the 25-year-old paediatric nurse will spend between seven and 10 days competing the solo challenge, along with 40 riders from different countries. The event, which follows a trail set by Mongolian ruler Genghis Khan in the 13th century, involves riders navigating their way between horse stations spaced at 40km intervals guided by GPS trackers. "The horses are vet checked when they come in and we get a new horse every 40km, " Donnelly said. "We ride the horses Mongolians use to race, they are small and fast, I would be taller than one of them..."
The world's longest and toughest horse race gets underway next week in Mongolia. The Mongol Derby spans more than 600 miles and takes about 10 days. Among this year's riders is U.S. Air Force Capt. Tim Finley. He deployed to Iraq to command air strikes for nine month, and returned home last summer. Here & Now's Meghna Chakrabarti speaks with him about finding the challenge — and affirmation — in meeting his goal. Former champion jockey Kevin Darley is swapping racecourses for the wilds of Mongolia to take part in the world’s longest horse race, for charity. Kevin, a professional jockey for three decades, is taking on the 2016 Mongol Derby in aid of the Injured Jockeys Fund (IJF), H&H’s charity of the year. 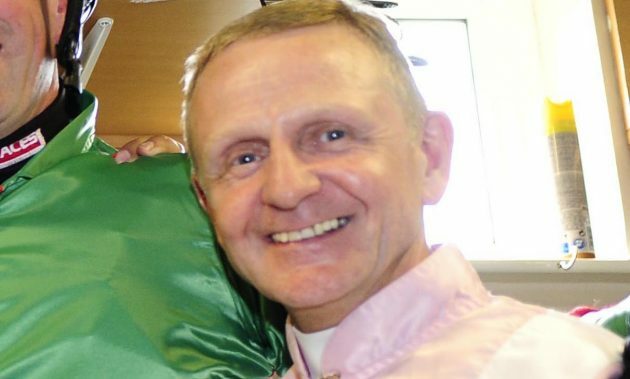 During his career he rode 2,431 winners and was crowned champion Flat jockey in 2000. Reigning champion Ben Hudson has successfully defended his national title after completing the 160km ride in very wet conditions at the 2016 National Endurance Championships. The championships were held at Sterling Crossing Endurance at Imbil on Queensland's Sunshine Coast on the weekend. Despite heavy rain and tough conditions, Hudson achieved the impressive time of 10 hours 15 minutes and 30 seconds. He was riding Cap Braveheart from Oso Arabians in Table Top New South Wales. Together the pair were averaging a speed of about 15km per hour, while runner-up Kaylea Maher galloped in only three seconds behind. Matthew Sample, owner of Sterling Endurance Arabians and founder of the club, said he was delighted with the outcome of the inaugural endurance event. He congratulated Mr Hudson on the outstanding result. To no one’s actual surprise, and the Canadian equestrian community’s profound disappointment, it is likely that the World Equestrian Games set for August 11-26, 2018, at the Bromont Olympic Equestrian Park are going to be cancelled after the Government of Canada informed the Organizing Committee that it won’t support the games. “On July 11, 2016 the 2018 World Equestrian Games Organizing Committee was informed that the Government of Canada will not be providing federal funds to support the hosting of the 2018 World Equestrian Games. Through Sport Canada, the federal government is not in a position to support the hosting of the 2018 World Equestrian Games given the financial viability of this project. The event has an estimated budget of $100 million, of which approximately $66.6 million of overall revenue sources must be raised from the private sector. As of today, no private sector funds have been confirmed, nor has a deficit guarantor. EQUESTRIAN: While it was close, Ben Hudson successfully defended his national title on Saturday after completing the 160km ride in wet conditions at the 2016 National Endurance Championships. Held at Sterling Crossing Endurance at Imbil, Hudson was aboard Cap Braveheart from and clocked a time of 10hrs15min30sec, while runner-up and local Kaylea Maher galloped in only three seconds behind. 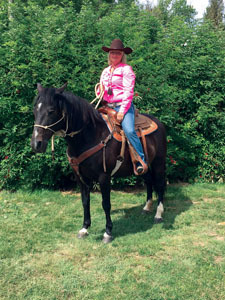 Finding the right man is nearly as difficult as finding the right horse, says Lisa. I nod earnestly in agreement. Lisa is the warm, engaging wife of the farmer whose land we are camping on and, over perfectly pink roast lamb and red wine, we are having a lively chat about life and love and horses. I'm here for the pilot of the Dartmoor Derby, which is taking place for the first time in September. It is inspired by the Mongol Derby, an annual 1,000km endurance horse race based on Genghis Khan's postal route in 1224. We are not racing and we are covering only 50 miles over two days - so it's a day shorter than the real Derby and not an endurance in any sense; instead, it's a great luxurious adventure. We are divided into small groups, setting off from different locations on a mix of Arabs, hunters and American quarter horses. My group starts on the north-west side of the moor, heading south-west. THE equestrian world has come to Imbil forest this weekend, to experience Australia's first purpose-built endurance riding centre. The centre, headquarters of the newly formed Sterling Crossing Endurance Association, was a cow paddock only 12 weeks ago. But it has been a big 12 weeks, club founder and endurance ride organiser Matthew Sample told The Gympie Times. "We've spent millions," he said. "We've done a lot in a very short time." "We've only employed local workers and tradies," he said. "IT'S beautiful riding country," Matthew Sample's father Bob said as he surveyed the Sterling Crossing property and its forested mountain surroundings. Bob helped pioneer endurance riding in the Imbil-Kenilworth area. He and his sons, Matthew and Brook, hold a total of 20 Tom Quilty Cup titles, the sport's most prestigious annual gold cup event, pioneered by RM Williams and Tom Quilty. "I did the first one in 1970, near Kenilworth," he said. "I've been doing it regularly in the area since 1987..."
Carri Ann Dark completes 240km at Kings Forest International Endurance Ride. On Saturday 9th July, an international field of riders set off on the ultimate test of horse and rider, the CEI3* 160km (100 mile) endurance ride, across beautiful Suffolk countryside. Carri Ann Dark (25) riding 12yo gelding, Vavavoom, took an early lead in the gruelling ride, flying through the mandatory vet inspections at the end of each loop. Carri managed to maintain her lead in the class, although Swiss rider, Barbara Lissarrague aboard Ainhoa Arkiris, was hot on her tail and managed to close the gap significantly through the course of the day. Barbara's efforts were not quite enough to clinch victory as Carri put in an impressive last loop with a speed of 19.5kmph to finish with riding time of 09:52:45. Barbara crossed the line just minutes later with a total riding time of 09:57:35. Carri's aim was simply to complete the ride and bag her championship qualification and was amazed to have come away with 1st place. Carri commented that "it was amazing to have Vavavoom back on top form after having nearly 18 months rest. We are so proud of him, it means the world to us". Her victory was not made easy with fluctuating weather conditions making the course challenging with some areas becoming slippy and others very hot and humid. Most riders after completing 160km tend to take it easy the next day, a hot bath maybe, a leisurely stroll? Carri's steely mentality would not let her miss an opportunity to qualify one of her other young horses and rode Bey-Shamadahl in the 80km Graded Endurance Ride the next day. Another successful completion under her belt meant Carri had completed 240 competitive kilometres around Kings Forest! In the CEI 2* 120km class two riders from the UAE; Rashid Mohamed Ibrahim Al Baloushi and Abdulla Saeed Bin Huzaim took 1st and 2nd place respectively. Just 15 minutes behind was British rider, Abigail Taylor riding Warrens Hill Elanzo who was just a length ahead of fellow rider, Chris Wray riding Takwenya in an exciting racing finish. Abigail commented that whilst she was "not expecting to have a racing finish I felt that he [Warrens Hill Elanzo] had plenty of fuel in the tank to go for it and he proved me right". Both horses are by the famous endurance sire Chatanz and were neck and neck right up to the line. All three young riders in the CEIYJ 2* 120km class completed the competition within qualifying speed meaning they are now all qualified for young rider championships. Abigail Chisholm won the class aboard Abbi Tennant's Barik. So far the 120km completion had evaded Abigail, and she was delighted to have finally conquered this distance. Overall the completion rate over the FEI classes was high at 64%. Ride organiser Di Luke believes that the course is one of the best in the country "the forest is so giving, there are lovely long stretches where you can just bowl along". She also added that the "water and ice out in the venue was a real benefit to everyone". Riders commented that the venue was superb and the added benefit of all classes having electronic timing was extremely well received. Di commented how she "loves the fact that a 16km pleasure rider uses the same tracks as the 160km3* riders". Both Meydan and Science Supplements must be thanked for their generous support of this international endurance event. The CEI Kings Forest Event took place on the 8th, 9th and 10th of July 2016 and saw a host of both International and National competitions ranging from the CEI3* 160km, CEI2* 120km and CEI1* 80km distances right through to 16km Pleasure rides. This event is a major event on the 2016 Endurance GB Competitive Ride Calendar, organised by Dianne Luke and supported by local volunteers. Kindly sponsored by Science Supplements and Meydan. A critical blow has been dealt to the Bromont 2018 WEG, as Carla Qualtrough, the Minister of Sport and Persons with Disabilities, has declined to support the event. The KNHS makes it known the endurance team will represent the Netherlands at the European Junior Championships in Rio Frio on September 3rd. Five riders, three of which have participated in the KNHS AUDEVARD talent plan, have met the criteria, which will travel a full team to Portugal. Liselore van Zetten and Jorrit Koopmans are long time member of the juniors framework and appeared in 2014 at the Junior European Championships in Verona. they both have trained a new horse in the last two years. Liselore, a member of the junior team that managed to seize the Nations Cup at Fontainebleau in October last year in third place, went there to the 120km with El Kebir du Florival, and finished in a creditable 9th place with an average of 18km per hour. Early this year, the combination completed their first successful 160km in Abu Dhabi. Jorrit and his chestnut gelding Conner gained their qualification at the 120km in Lanaken last year where he finished 8th in the 120km last April at Fontainebleau. Imke Lamsma has already trained two horses from the base to the international level. With Sjacour she goes further prepare for the European Championships. The two youngest members of the team are Laura Bucher and Ijjou Mohamed. Ijjou also was part of the successful Dutch team at the CEIO Fontainebleau in October last year. Akis with the Presle was fifth in Ermelo last May, which she claimed a team place. Laura Bucher her international career started only this year, and with success. Fontainebleau she earned a creditable 8th place. Followed by a 3rd place in Villers-Pont Eastern AA with Kabila. With Kabila they will continue to prepare for the European Championships. Dutch team in Rio Frio accompanied by KNHS youth coach Jarmila Lakeman designated for this match as chef d'equipe. 7 July 2016, Brussels, Belgium ~ The HH Sheikh Mansoor Bin Zayed Al Nahyan Global Arabian Horse Flat Racing Festival and the Royal Belgian Federation of Equestrian Sports have jointly announced an annual international endurance festival for a three-year period starting from August, 2016. The Brussels Equestrian Endurance Masters (BEEM) is positioned as a major meeting for the European and International Endurance community and is scheduled annually on the 3rd weekend of August in the city of Brussels, the capital of Belgium. BEEM offers three days of endurance competition under the auspices of the FEI (Federation Equestre Internationale).